There are occasions in our lives that force us to stop and take measure, compelling us to consider their effect upon our past and our future. Sometimes it’s about the who and what we leave behind, like the moment I watched my mother and father drive away after dropping me off at college. Sometimes it’s about what we gain, like the moment I looked into the eyes of my fiancée and said, “I do.” Either way we can be deeply moved and changed at our core. In the fall of 2007, I walked into such a moment in time. My daughter, Julia, had a large group of high school friends and they often ended up at our home on weekend nights, watching movies, playing games or cooking huge amounts of spaghetti. One night, I waded into the chaos and caught sight of her and her long-time friend, Emily, talking and laughing, sharing an intimate moment. It took my breath away. In an instant, I remembered the two of them as second graders just getting to know each other. I fast-forwarded through the dinners at each other’s home, the sleep-overs, watching them walk in together and stand by each other at every school assembly, laughing with teachers as they relayed their Julia and Emily stories, smiling as I recalled the hysterical home videos that they made and just being floored by the beautiful young women they had become as they took pictures with their dates before their first prom. They had always been there for each other, helping each other grow up to find a solid footing in life. In just a few months, they would be graduating, leaving their school, their homes and each other. Thirty years removed from high school, I was in touch with only one friend. I envisioned the girls many years later physically and emotionally far removed from each other, those years of companionship a very distant memory. That possibility made me sad. I wondered what I could give them that would remind them of their friendship and its importance in their early lives. I had some skills as a writer. By the time Julia became a senior in high school, I was an award-winning script writer for documentaries, but fiction had been my true love and there were several manuscripts around the house to prove it. 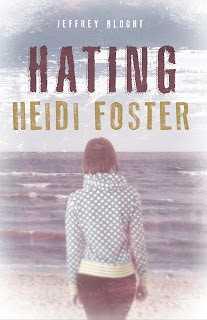 Over the next couple of months, I put together a storyline and by the New Year, I was deep into what would become the young adult novel, Hating Heidi Foster. When they graduated, I delivered to each of them a double-spaced manuscript in binders bought at the neighborhood pharmacy. A tribute to a long and true friendship. Three years later a good friend suggested that maybe I should give them an actual book to hold. It was a good idea and this past October, I mailed two copies to Julia and two copies to Emily, the two of them half a country apart. Julia, now graduated and living on her own in another city will be home for Thanksgiving and I am happy to say that plans are in place for two old friends to spend time together, maybe even to reenact a bit of their old book club with a little discussion about Hating HeidiFoster. 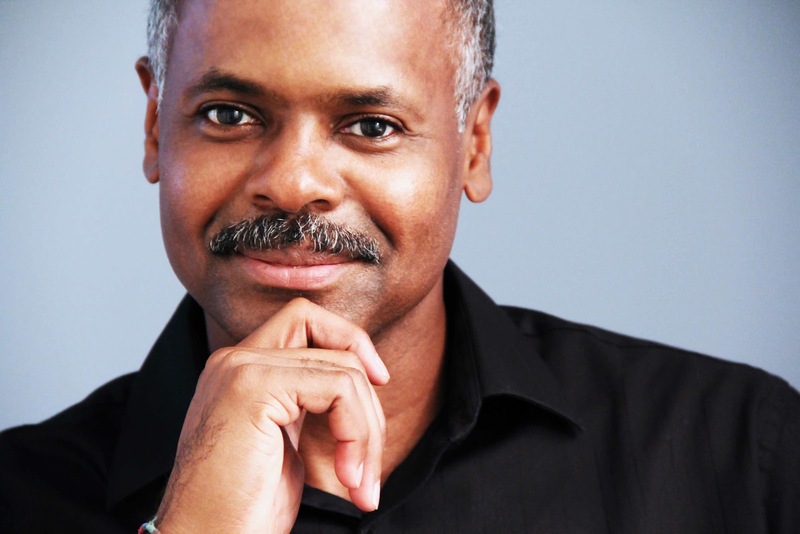 Jeffrey Blount is an Emmy award-winning television director and an award recipient for scriptwriting on multiple documentary projects. Born and raised in rural Virginia, he now lives in Washington, DC with his wife, Jeanne Meserve. They have two children, Julia and Jake. DISCLAIMER: I was not compensated. Opinions are that of the author. 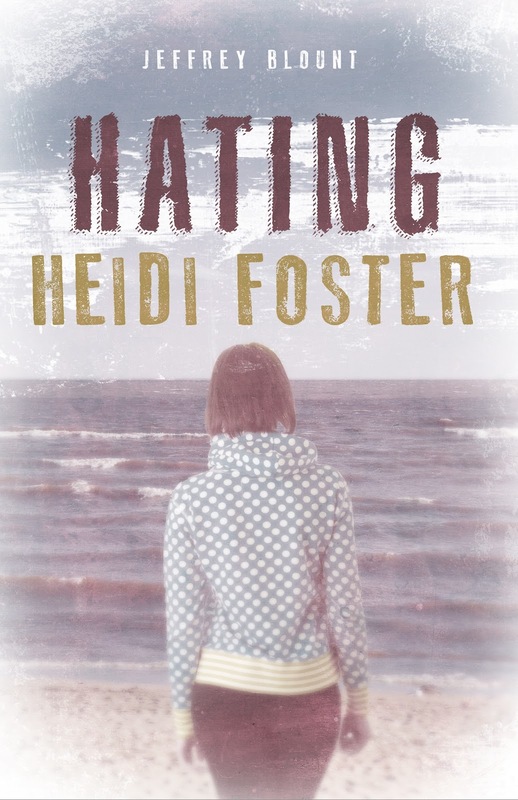 Thank you, Freda, for giving voice to my novel Hating Heidi Foster. I truly appreciate it!